As entrepreneurs, we all know we need a presence on Instagram. 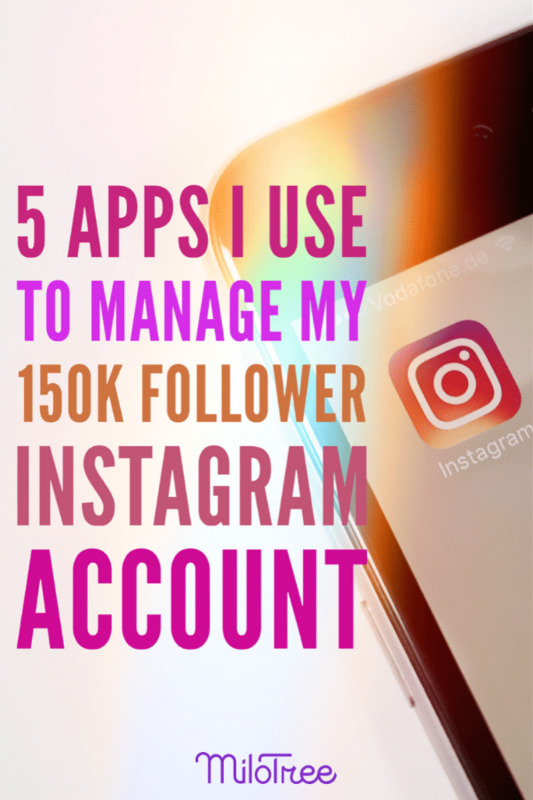 So I thought I’d share the 5 apps I use to manage my 157k+ follower Catch My Party Instagram account. These are my favorite Instagram apps for scheduling, designing, engaging, and growing my followers. Postcron is my Instagram scheduling app for Catch My Party. I love that I can use it to schedule posts for Instagram, Facebook, and Twitter from the same platform. 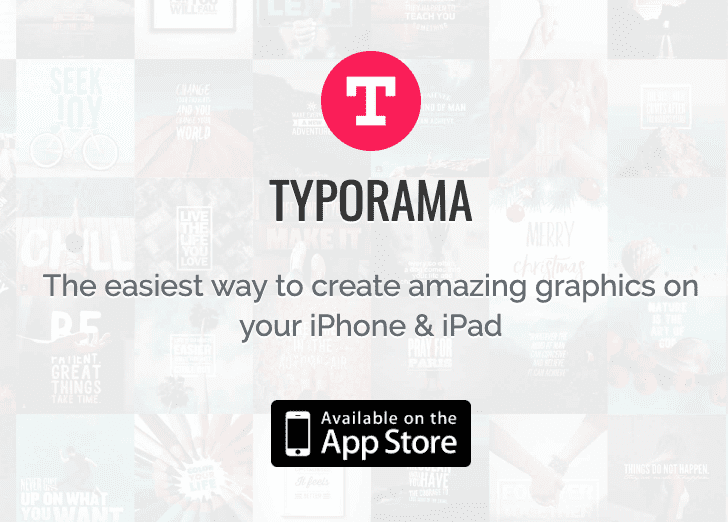 It’s super easy to use and saves me a ton of time. 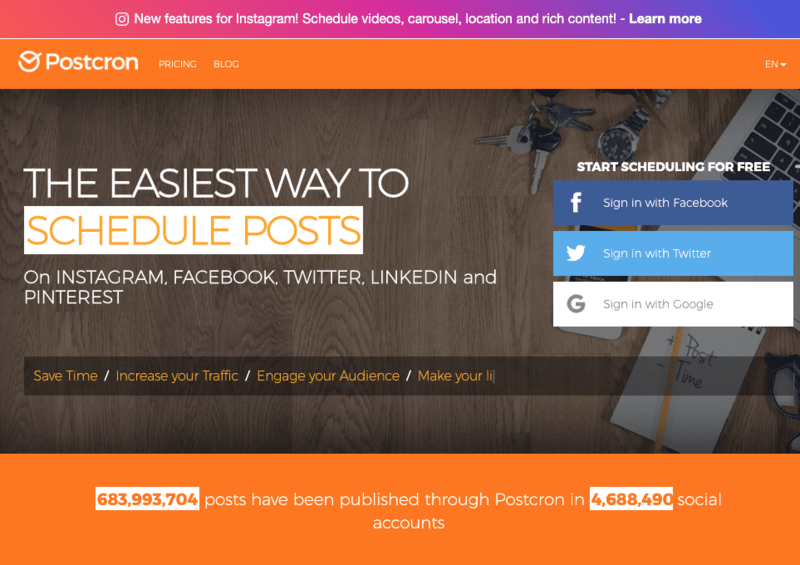 While there are great Instagram scheduling tools out there, with Postcron, I only pay one price to schedule three platforms. 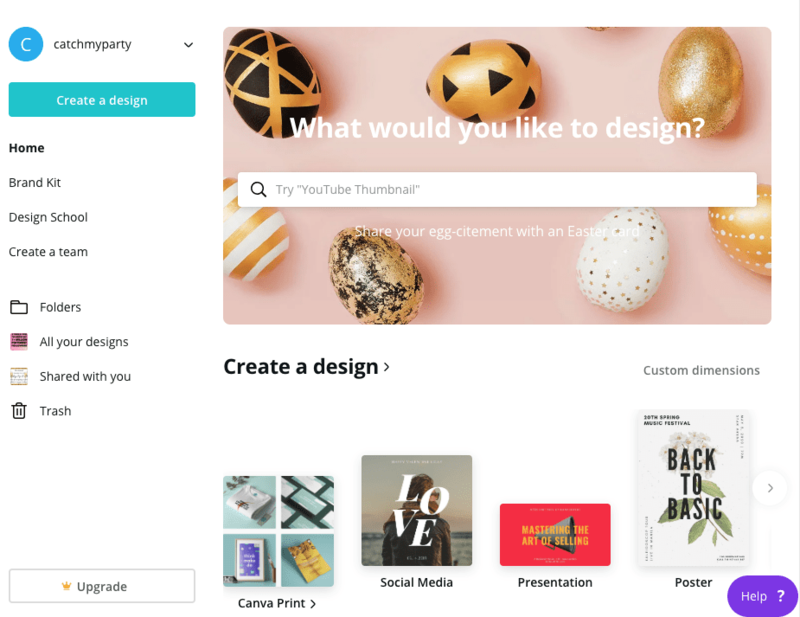 Canva is my go-to creation tool for making Instagram images for both my Instagram feed and stories. Even with no design talent, I can use one of their premade templates, and look like I’ve got some skillz! Plus it’s easy and cheap to buy stock photos (or upload my own). 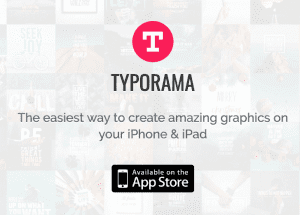 I type my text on top of an image or background. Then I use their pre designed typography styles and choose which ones I like the best. I personally like that there are limited choices. It helps me make up my mind faster. Limitations can be helpful! I use this app in our Instagram bio on Catch My Party. If someone clicks on our profile link, they end up on a page with all our feed posts and the corresponding links. Link in Profile will automatically set up the link. All I have to do is add the link at the bottom of each post description. 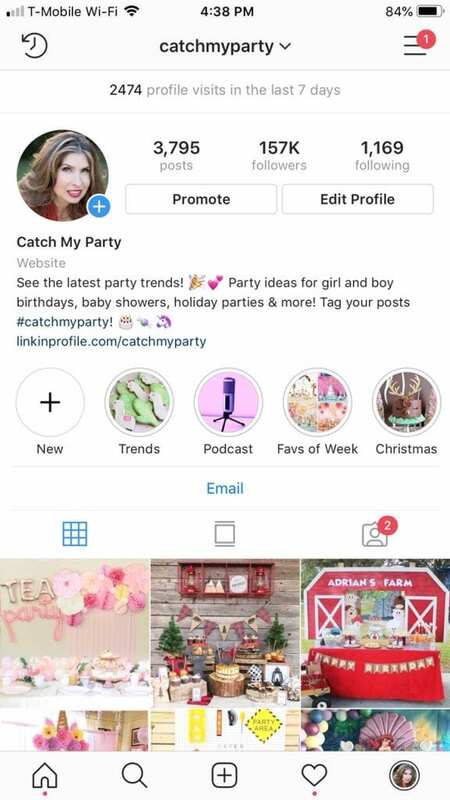 This is an easy app to use, saves time because I don’t have to swap out my link in every post, and it does really drive Instagram traffic to Catch My Party. By using MiloTree on Catch My Party, we’ve grown our Instagram followers to over 157k. MiloTree is the ultimate set-it-and-forget-it app. It’s growing our followers 24/7. Plus, because it’s installed on our blog, and it pops up on our site and asks our site visitors to follow us on Instagram, it grows the highest quality followers we can find. These people have already been to our blog, seen our content, and liked it enough to click on our MiloTree pop-up to follow us. My advice: seize and love these followers! These are your most important followers because they will interact with your Instagram content and signal to Instagram that you have a high quality page. 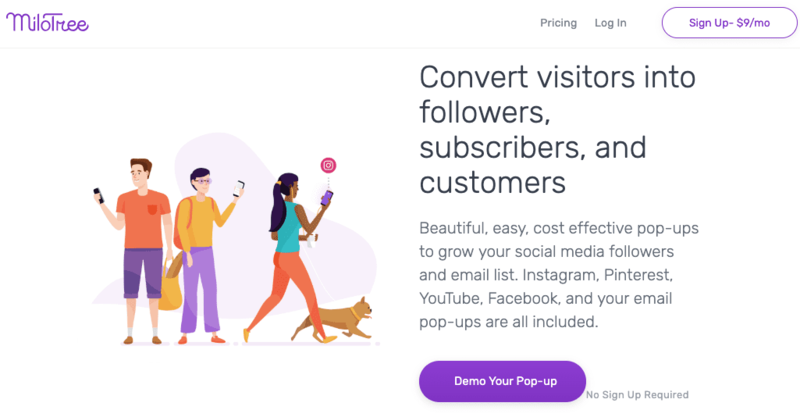 Also, if you want to give MiloTree a try, you’ll get your first 30 days FREE! If you are wondering why your Instagram followers are not growing as fast as you’d like, check out my post on the 6 reasons you’re not getting new Instagram followers. Also, take a look at my Ultimate Guide for Bloggers and Creative Entrepreneurs to Get More Instagram Followers. This has everything you need to know to grow your followers faster! 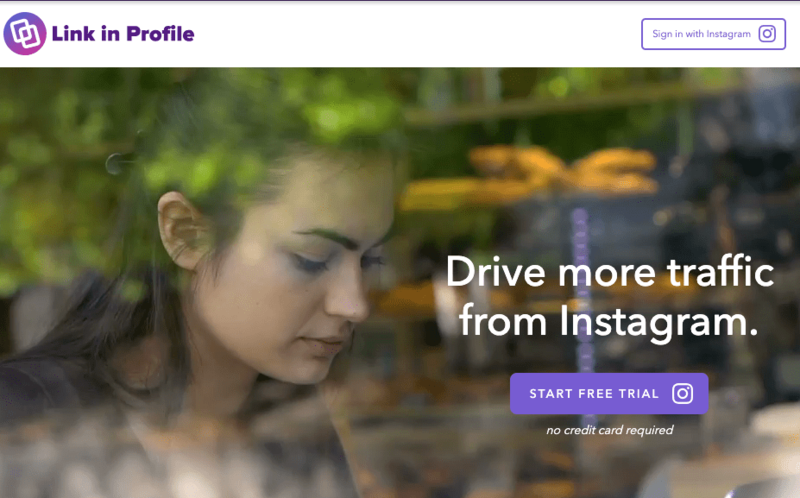 And see why the MiloTree app is the best tool to get you more Instagram followers.